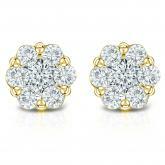 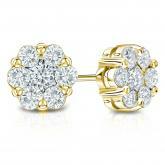 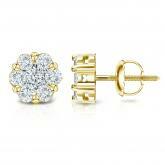 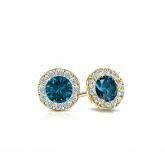 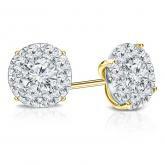 These elegant 14k yellow gold cluster earrings feature 0.75 ct tw. 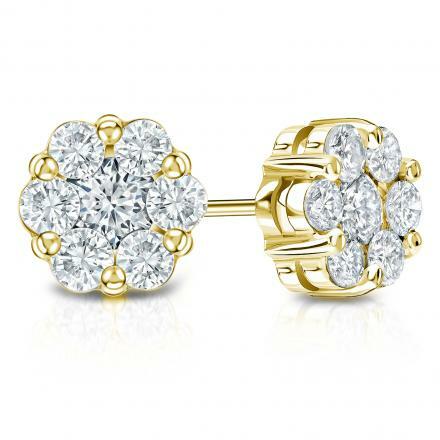 round-cut diamonds in prong settings. 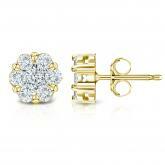 Available with screw-back or push-back clasps. 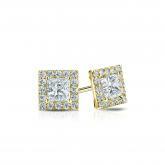 Total Carat Weight: 0.75 ct. tw. 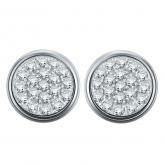 Certified 10k White Gold Round Cut White Diamond Earrings 0.15 ct. tw.